Fermented Snail Filtrate has been used in skincare for many centuries in many cultures. 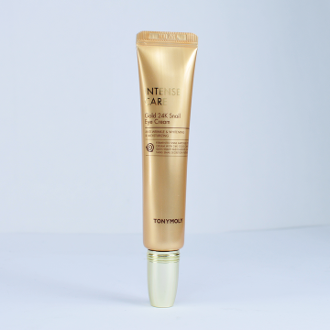 Snail Filtrate extract help repair elasticity making skin more supple and smooth. Improves skins moisture as well as repairing wrinkles. 24K Gold - Soothes sensitive and stressed skin, brightens the complexion, and stimulates the skin to improve blood circulation and prevent signs of aging. How To Use * Evenly apply an appropriate amount around the eyes gently pat to promote absorption into skin.